POV-Ray-generated abstract image for project concerned with network threats, 2018. 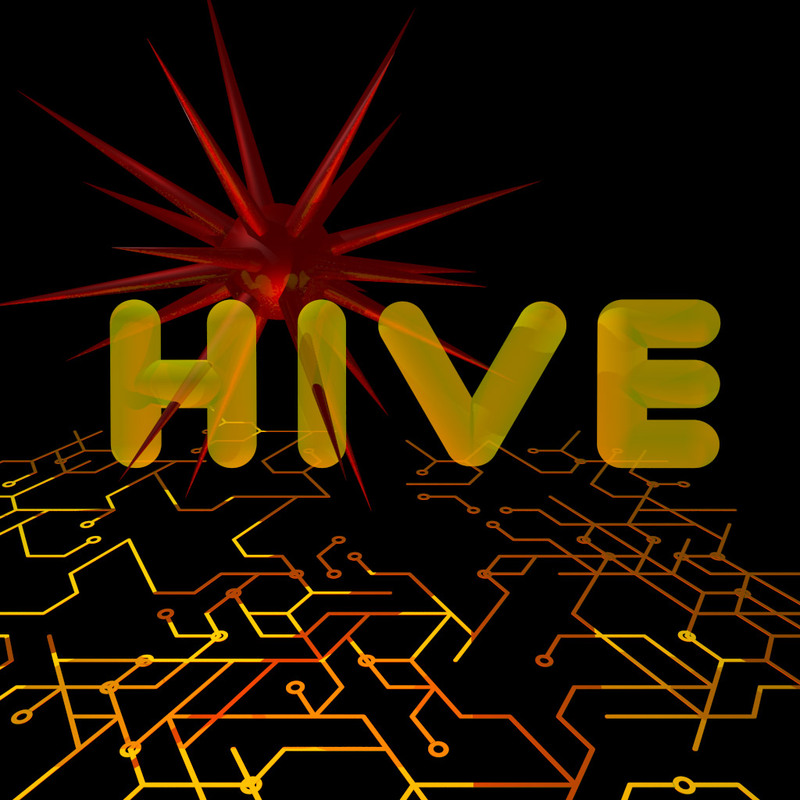 The letters in the name of the project, HIVE, and consequently its logotype, were geometric enough that it was feasible to build them by merging cylinders and spheres. The network pattern is procedurally generated. Very short timescales on this project meant I didn’t have time to do anything sophisticated with either textures or composition, but as is often the case POV-Ray produced a convincing image using relatively basic components (and a wee bit of coding).